One of our most popular excursions on the South Island, an overnight cruise on Doubtful Sound is truly an experience of a lifetime. You will begin with a journey by coach to Lake Manapouri, before cruising across the crystal waters of this sparkling lake. The journey continues by coach over the rise of Wilmot Pass and through the dense emerald rainforest. 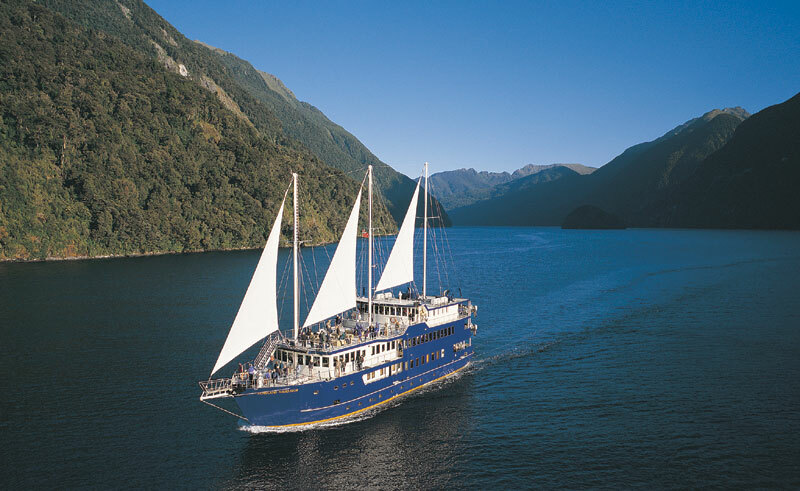 At Deep Cove, travellers board the Fiordland Navigator for a leisurely journey across Doubtful Sound. The vessel has spacious deck areas offering stunning views of waterfalls, abundant wildlife, rainforest and mountains and in late afternoon it anchors in a secluded spot where a 3-course buffet evening meal is served. Optional excursions by kayak or tender vessels are available at no extra cost. The following morning you will enjoy breakfast and further cruising before returning to Te Anau. This is a Qualmark endorsed visitor activity. On this self drive discover the true star of the show, the magnificent scenery.